You must write to each staff member after your staging date to tell them how automatic enrolment applies to them and explain their rights. You must let them know that contributions will be deducted from their pay and that they have a right to opt out of your pension scheme if they wish to do so. You must write to staff who are being automatically enrolled (eligible jobholders) explaining what you’ve done and providing details of the pension scheme you’ve chosen for them. This communication will also tell them about how the contributions will increase from the basic 1% and 1% to 5% and 3% by 2018 (assuming that you are starting from the minimum base levels). You must write to staff who have a right to opt in to an automatic enrolment pension scheme (non-eligible jobholders) explaining how automatic enrolment applies to them. You must write to staff who have a right to join a pension scheme (entitled workers) explaining how automatic enrolment applies to them. This must be done in writing and within six weeks of your staging date. Communications were simplified somewhat from 6th April 2015 and the same letter is now sent to non-eligible jobholders and entitled workers. You can choose to postpone automatic enrolment for up to 3 months for some or all of your staff. You must write to your staff to tell them you’re postponing automatic enrolment for them. One of the times you can postpone is at your staging date. If you are using postponement for all of your staff at staging, to give you more time to prepare, it is often forgotten that a postponement communication must be sent to all of your staff within 6 weeks of your staging date. If this communication is not sent within the required timeframe, then the postponement in null and void and auto enrolment will apply from the staging date. The postponement communication will let your staff know that they will be enrolled on a particular date if they meet the relevant criteria. It also gives them the option to be enrolled before the end of the postponement period. sending information in PDF format or other attachments by email. ‘Giving’ information does not include merely signposting to an internet or intranet site, attaching a URL or displaying a poster in the workplace. Some of the pension schemes prefer to handle some or all of the communications. Your payroll software should allow you to turn off communications reminders in such cases. Practical tip: Send the employee communications around about the same time as you are submitting your pension file. If you send the communications too early and employees contact the scheme to opt out, the scheme will have no record of the employees and therefore will not be in a position to process their opt-out requests. BrightPay have embraced auto enrolment and are providing a number of online resources to bureaus across the UK, including free auto enrolment webinars and guides. Book a demo with our sales team today to find out how BrightPay handles auto enrolment and how it can increase the efficiency of your bureau. You can also try out the software with a 60 day free trial. 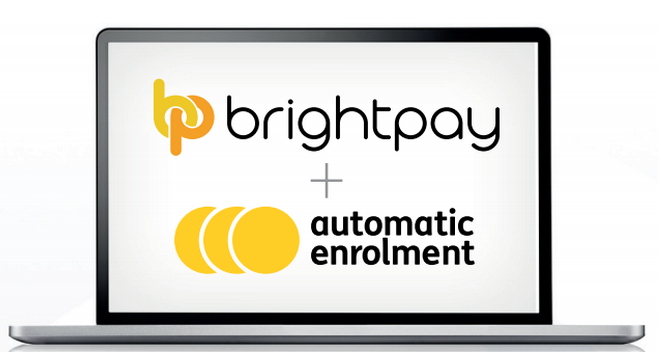 Read more about BrightPay’s auto enrolment functionally.